The divine Deanna Dunagan may go down in history as having created one of the creepiest and most emotionally present villainesses with her take on Nana in M. Night Shyamalan’s 2015 return to form, The Visit. But, she has also given the horror universe another powerful female player with her recent appearance on the third season of FX’s The Strain. Here, playing Ancharia, a powerful medieval tutor and savior to (series regular) Quinlan, Dunagan provided the episode with its heartfelt core and made us long to see more of her in this masterfully created universe. Now, Dunagan promises to provide even more strength of will in her recurring role as Mother Bernadette on Fox’s The Exorcist. This reimagining of the classic film and William Peter Blatty novel stars Academy Award winning actress Geena Davis and makes its debut on Friday, September 23rd, 2016. Dunagan’s first appearance will be on the 4th episode with more “visits” to follow in forthcoming installments. You can keep up with all the levitating monstrousness and soul sucking antics to come at http://www.fox.com/the-exorcist and https://www.facebook.com/TheExorcistFOX. Sunburn, heat stroke, chigger bites…There is so much to look forward to in the summertime! Ingenious independent director-writer-actor Reuben Rox has now given us something else to anticipate during those warmer months – his latest horror feature, The Evil! …whom can all take a stab at receiving updates at https://www.facebook.com/the-evil-1684538168501183/. Forgetting who you are sounds like a good idea when its time to pay that latest cable bill or when your sister catches you sleeping with her favorite Vampirella Doll. But losing yourself can have dangerously delightful implications. Director Chloe Finch seems poised to take on all of those with her upcoming film The Diary of Jane Doe. Featuring a talented and attractive cast, this is one independent horror feature that you’ll definitely want to keep your eye on. 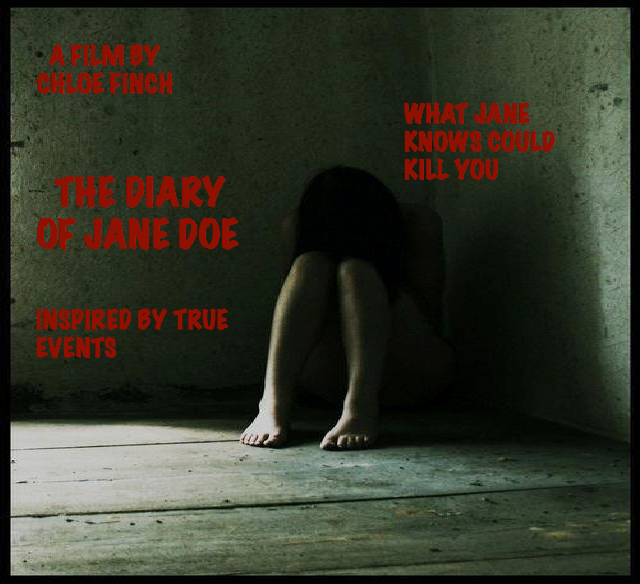 Be sure to follow Finch’s production adventures at https://www.facebook.com/pages/The-Diary-of-Jane-Doe. I’ve forgotten the name of an undead trick or two after an adventurous night on the town. Unlucky Peyton, the title character in Spencer Parson’s incisively graphic short film Bite Radius, one up’s me, though. His evening debauchery results in a dead body in the bathtub. Thankfully (or not), Peyton’s friend Nicole has a twisted idea of how to deal with Kelsey, the unfortunate lass who breathed her last behind the shower curtains of her career girl apartment. This involves a machete, a hand saw, fire and lots and lots of blood flying around. Naturally, this all ends a bit badly for everyone involved. Here director Parsons, best known for 2013’s truly enjoyable (and highly recommended) Saturday Morning Mystery (AKA Saturday Morning Massacre) completely catches how this Age of Kardashian effects certain twenty-something’s with either Peyton’s numbed self indulgence or Nicole’s media thrill seeking. It is fine work that shows he is capable of many colors as a director not just the fun throwback vibe of SMM. He is complemented, fully, by his go for broke cast. One of Chicago’s most inventive and enthusiastic stage performers, Trevor Dawkins brings a charming otherness that draws audiences to Peyton despite his misdeeds. Sophie Traub, meanwhile, supplies an infectious energy that tempers Nicole’s ingratiating madness with a childlike mystique. Nicely, in a genre that exploits the female form above all else, almost the entire cast here, with Dawkins and Traub leading the charge, revels in the naked abandon of their aggressively careless characters, bringing this piece a gritty reality and honest equilibrium all at once.